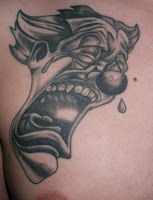 Looking for a tattoo that will make you sad, cheer you up and strike fear in the eyes of anyone who sees it? 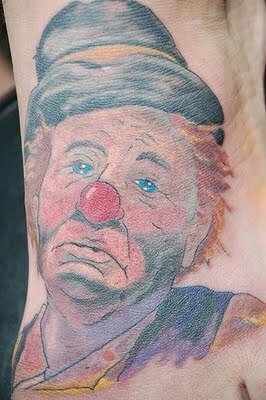 Then clown tattoos are perfect for you! Clown tattoos generally consist of three different styles, the traditional happy clown with an ear to ear smile, the classic old school sad clown which is often portrayed in retro artwork, and of course the evil looking satanic clown who scares children wearing raincoats. Enjoy this great photo gallery of tattoos and discover some design ideas. 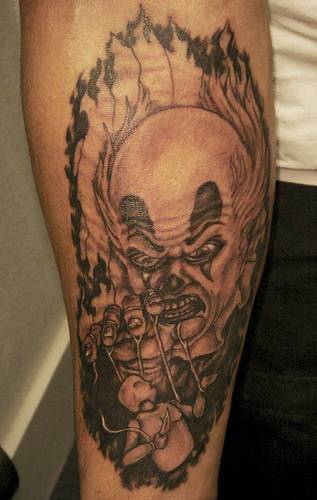 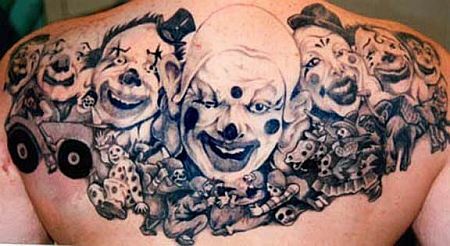 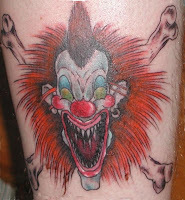 Evil clown tattoos often have morbid characteristics and exaggerated features. 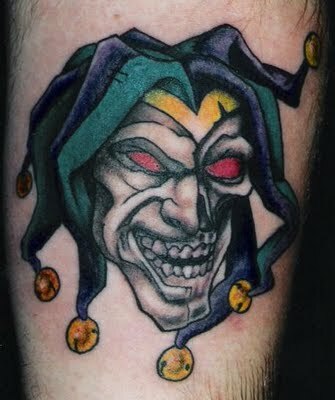 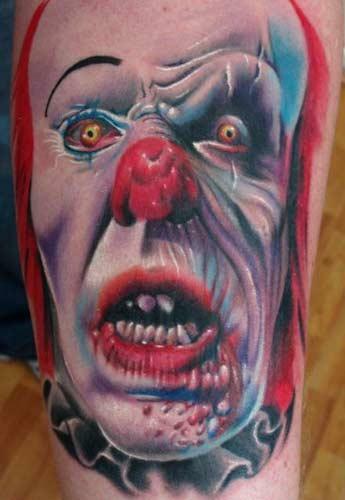 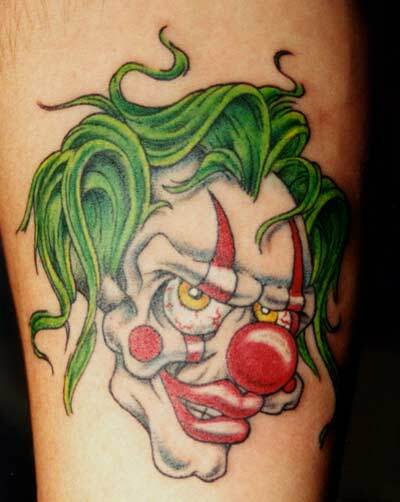 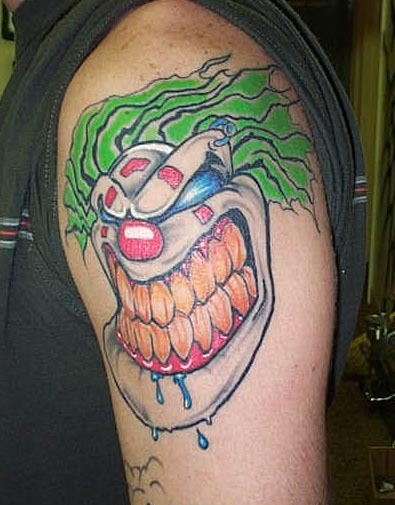 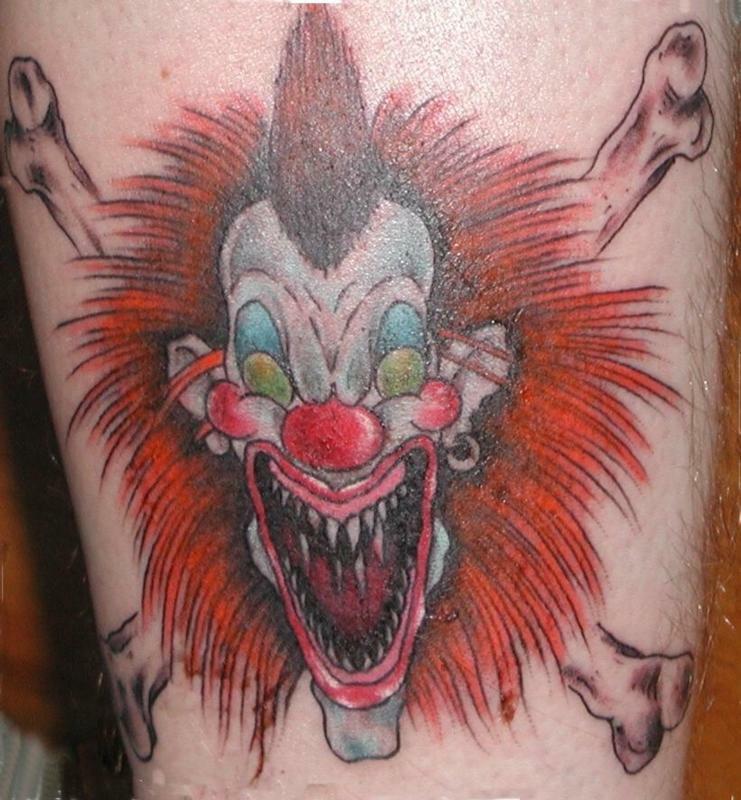 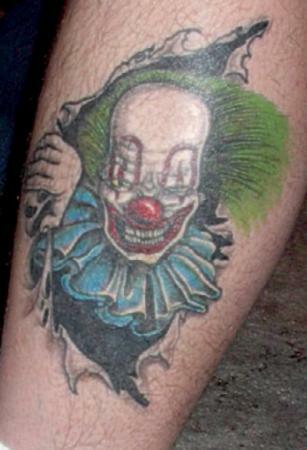 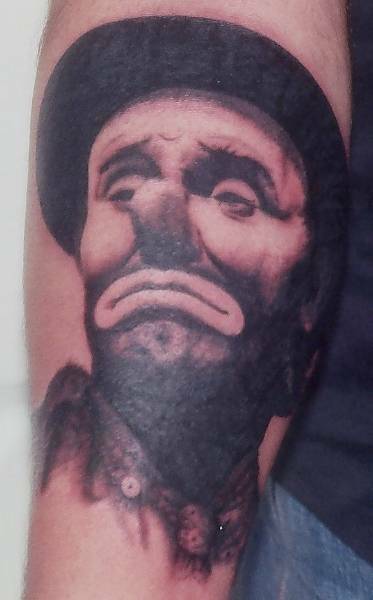 The most popular area for a clown tattoo seems to be the upper arm and lower leg. 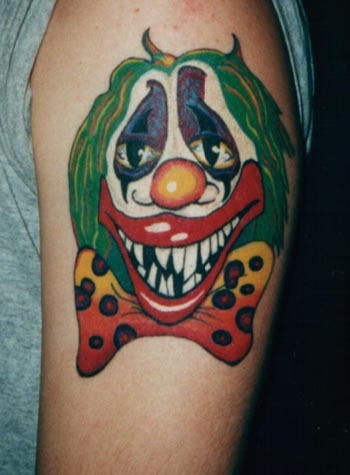 Naturally these type of tattoo designs are very colorful with mixtures of red, blue, white and hints of yellow under certain circumstances, plus they are sometimes accessorized with bow ties and hats.